Kingdom Community Bank are a credit union. They are a local, not-for-profit financial co-operative owned and controlled by its members. 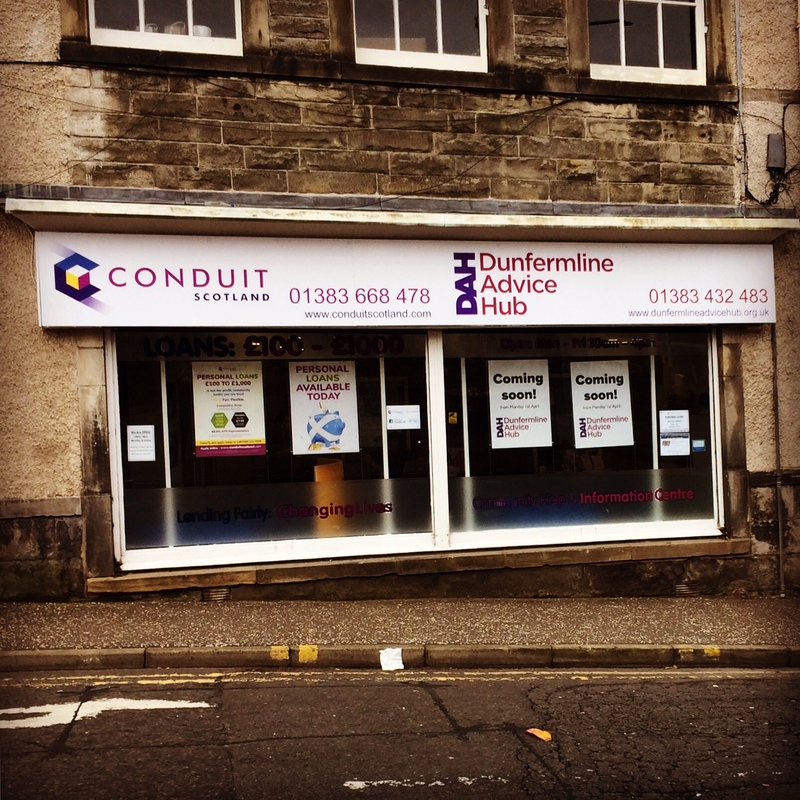 Their mission is to promote the financial wellbeing of people living or working in Fife. They aim to encourage good money management, saving and responsible use of credit. Security on savings through the Financial Services Compensation scheme (exactly the same as mainstream banks). All funds saved with Kingdom Community Bank are used by the local community. Profits returned to members in the form of an annual dividend or loan interest payment rebate. Community owned and run by members. There is a £2.50 joining fee, and a £2 annual service fee. helping you to understand your payments, claimant commitment or using the Universal Credit system. Sessions are on drop in basis, no appointment necessary. making referrals to other agencies for further assistance. Being at home is as much a state of mind as it is a place to feel safe and secure, to dwell, and to connect to. At Frontline Fife we are committed to working with people from all walks of life with a variety of needs and experiences to help them ‘be at home’. With the support of each other, communities, partners, donors and funders alike, we continue to work tirelessly for those in need of a home. The Fife Law Centre are here to assist you if you have mortgage or rent arrears and are threatened by eviction, if you have complex welfare benefits issues such as an appeal to Upper Tribunal or overpayment of benefits. The law centre can also provide assistance with adults with incapacity, child law, criminal injuries compensation claims and other miscellaneous issues. The Law Centre does NOT deal with Criminal Law, Immigration Law, applying for benefits or any other matters covered by High Street Solicitors. If you would like Fife Law Centre to assist you, pop along to one of their drop ins, or you can contact them by telephone or email. Each case will be assessed on an individual basis and will contact you directly with a decision on whether or not they can help. accessing, maintaining and understanding your Universal Credit profile. Community Job Clubs are very casual, and you don’t need to make an appointment. You can stay as long as you want too! Digital Skills Sessions are very casual, and you don’t need to make an appointment. You can stay as long as you want too! ADAPT offers advice, support for people at risk, access to addiction support services, counselling, rehabilitation and other services. ADAPT is for anyone worried about alcohol, drugs and prescribed medications, whether its their own or someone they know. ADAPT support workers can help you by assess your needs, and finding the right services for you, as well as give advice on other issues such as housing, money and relationships.